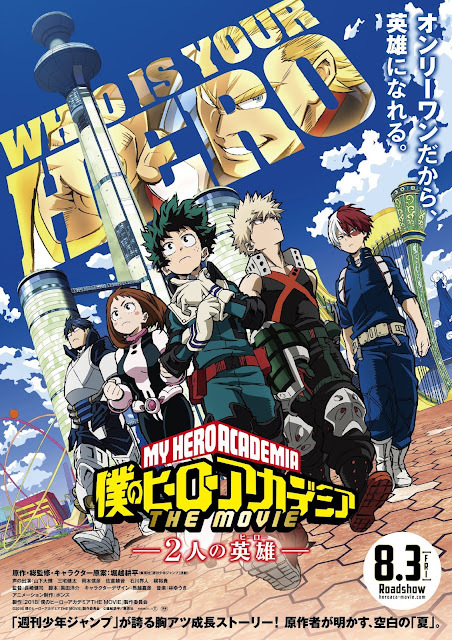 PennsylvAsia: My Hero Academia: Two Heroes (僕のヒーローアカデミア THE MOVIE ～２人の英雄) in Pittsburgh, from September 25. My Hero Academia: Two Heroes (僕のヒーローアカデミア THE MOVIE ～２人の英雄) in Pittsburgh, from September 25. The movie will play at both the Southside Works Cinema and the Hollywood Theater in Dormont on September 25, 26, 29, and October 2. Tickets are available online.